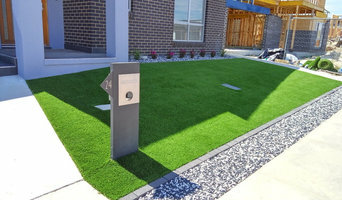 EverGreen Synthetic Turf - The Synthetic Turf Specialists in Canberra Welcome to Evergreen Turf Supplies , the premier provider of 45 MM CSIRO TESTED synthetic turf in Canberra market. 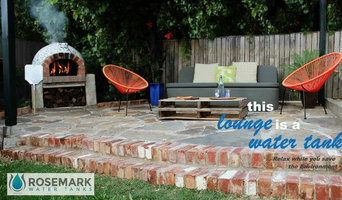 A canberra based company, we are proud to have one of the best range artificial lawn products at affordable price. We have three different types of synthetic tirf available in stock for 45 MM pile height. We offer durable, high quality competitive products of all artificial lawn, Teakwood Sandstone and Travertine Stone with full manufactured warranty.Our artificial turf business is located in canberra and turf stock is available ready for pick up from our warehouse in Mitchell .We buy in bulk and passes huge discounts to our customers and ourproducts are among the best in canberra's landscaping market. If you need a strong and durable long lasting outdoor area and sporting surfaces our artificial turf and putting green turf products can provide most practicle solution. Evergreen Turf Supplies being a main supplier in Canberra and surrounding areas, pride ourselves in reputation thriving on customer satisfaction. Our company’s goal “is to provide quality synthetic turf /Astro turf products in and around Canberra at an affordable price.” Call us for free design and quote. Rosemark Water Tanks Pty Ltd are passionate about leaving this planet in a better state than we found it. This has driven the company to improve the water efficiency of our communities by tackling the space, cost and aesthetic barriers preventing people from installing rainwater tanks. Product Description 'Downpipe Garden' is a multi-tiered vertical garden that attaches directly to your standard household down pipe (post, air conditioning duct) without the need to physically attach the garden to your external walls (NO drilling, NO screwing, NO nailing, NO damage). It can be attached in minutes and moved or re-moved in the same amount of time. Features and Benefits It hides an ugly down pipe (post, ac duct) and makes it a useful attractive feature of your home. Anybody can install it, NO trades, NO tools, NO damage. It can re-use rainwater. It can be set at any height you like, lower down for people in chairs or children or higher up to keep away from pets etc. 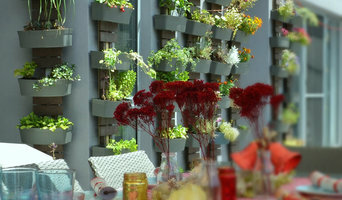 The pots can be lifted in and out easily meaning you can garden wherever you want and at whatever height you want. You can add to them at any time, great gift idea. As a homeowner you do not desire the grass to be greener on the other surface. With the knowledge of many years, Lawn & Landscape, a Lawn Mowing Kambah, will make certain your lawn is healthy, green and plush. Count on us for all of the services that improve your lawn, such as mowing and edging, tree and hedge trimming, and fertilizing. 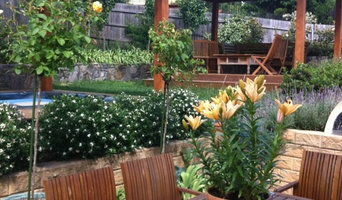 We are proud of the gorgeous lawns that we care for and maintain in Kambah. Contact us today for lawn mowing service. Hiring an expert lawn service company makes sound intellect for any homeowner in Kambah. Why is lawn care important to you? Well, after a long time, you’ll want to come home and relax. With the customized lawn care you take delivery of from your local Lawn Mowing Gilmore expert, you’ll be capable to come house, relax and enjoy your beautiful garden. Make your soil work for you instead of against you. With proper lawn care and local lawn care work we can make your lawn grass grow to become more beautiful, greener and better than last year. Your neighbors will believe you truthfully have a green thumb! Many of our clientele ask if we mow lawns. While Lawn Mowing Gilmore provides many lawn care services, we do not offer lawn mowing services. What can a garden and landscape supplies professional do? Most of the professionals in this category specialise in particular garden and landscape supplies for your outdoor space, from planter boxes to water features. If you’re undergoing an upgrade, they are an invaluable source of knowledge and expertise. A Canberra, Australian Capital Territory professional who specialises in garden pots and planters, for example, will not only have a broad range of product available, but will know their terracotta, ceramic and concrete pots inside-out – and which one will best work for you! An expert can take the guesswork out of landscaping and gardening. By accessing your needs and using their knowledge of design trends, styles, new technology and functionalities, they can supply and install products that are tailored to your lifestyle, decor and budget. Where do you source your product? Find landscape and garden supplies on Houzz. Scroll through this page to find companies in your area that source and deliver landscape and garden supplies, including water features, garden pots and planter boxes, fire pits, garden art, letterboxes, and more. You can browse their portfolio, read reviews and see how other tradesmen and homeowners rate their customer service, expertise and product.